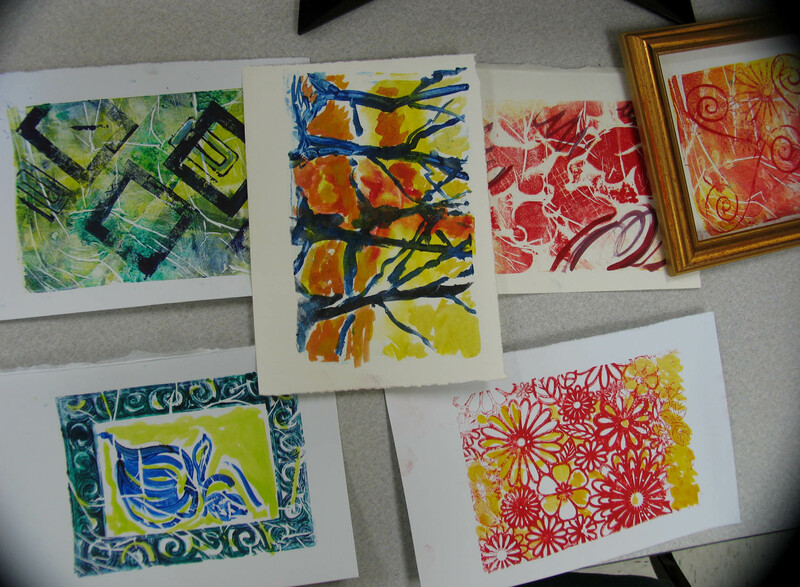 Midcoast Printmakers offer Cabin Fever Printmaking Workshop Saturday March 7. The Midcoast Printmakers are pleased to announce that from 10 AM until 4 PM on Saturday March 7 people of all ages are invited to come and try their hand at making Monotypes. Juicy color and spontaneity often results in fantastic prints which are suitable for framing or sending as flat art. 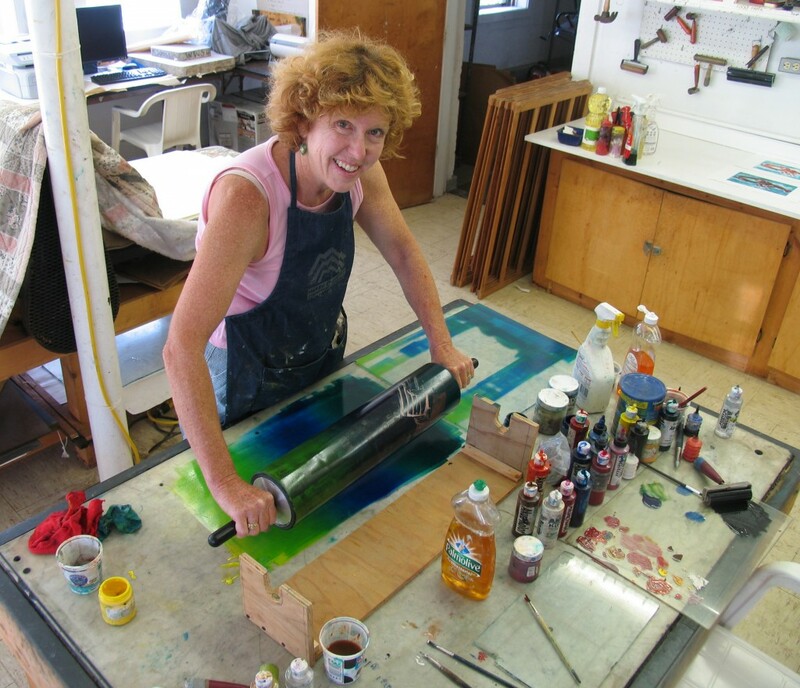 Debra Arter, the instructor, has been making monotypes for many years and had led workshops at Maine College of Art and Centre Street Gallery besides her extensive Adult Education offerings. Parents or grandparents may bring children or grandchildren with them for a generational art experience. All materials are supplied. Healthy snacks as well as tea and coffee will be abundance. You will want to bring all your friends for this exciting opportunity. Participants may choose to do one 3 hour session for $40 ( either morning or afternoon) or stay for the whole 6 hrs. for $70. Space is limited so you will want to call early to reserve a spot. You may call 563- 7100 for details or questions. Midcoast Printmakers is a nonprofit dedicated to the art of the print. They are located at 648 Main Street in Damariscotta.